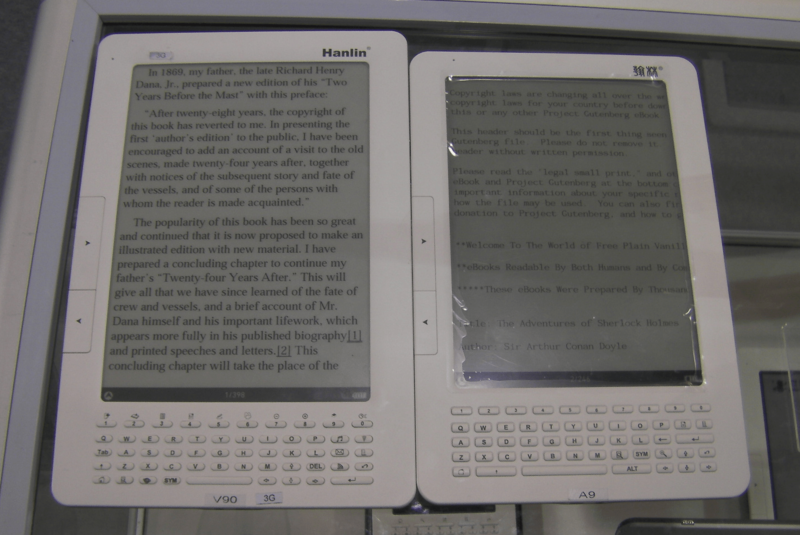 Hanlin was at CES again this year, and this time they brought their mainstay V3 (6" E-ink) and V5 (5" E-ink), 2 Kindle clones I remeber from last year V60 (6" E-ink) and V90 (9.7" E-ink) as well as 4 new ereaders. 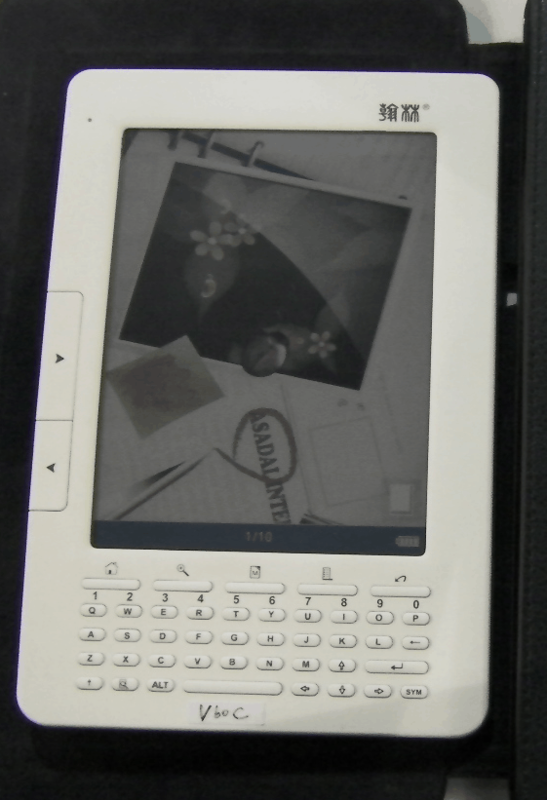 The recently announced A6 and A9 ereaders with Sipix screens did make an appearance. I have an A6 and I'll post a review when I can. 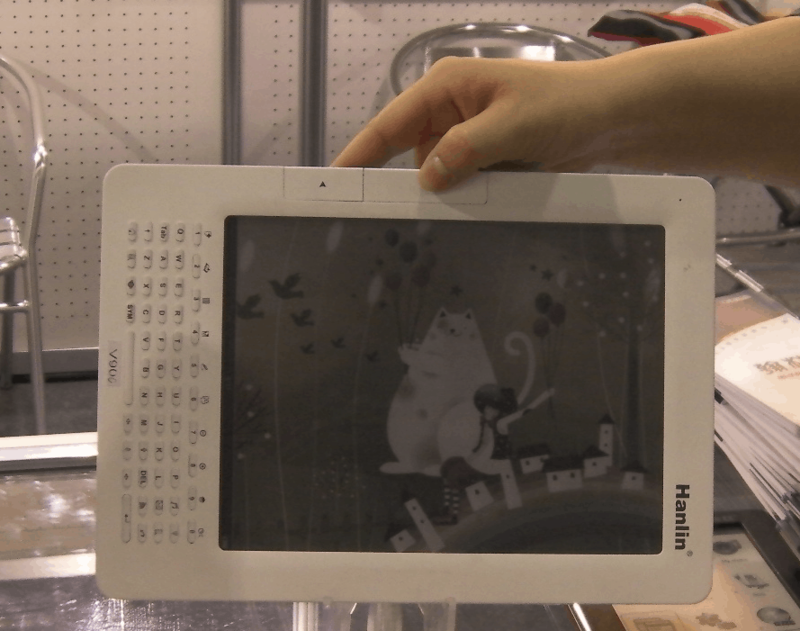 Here's a set of side by side photos of the Sipix and E-ink screens, all of which are available now. If you'd like to buy one you'll need to find one of Hanlin's local partners. They also had the V60C and V90C on hand. 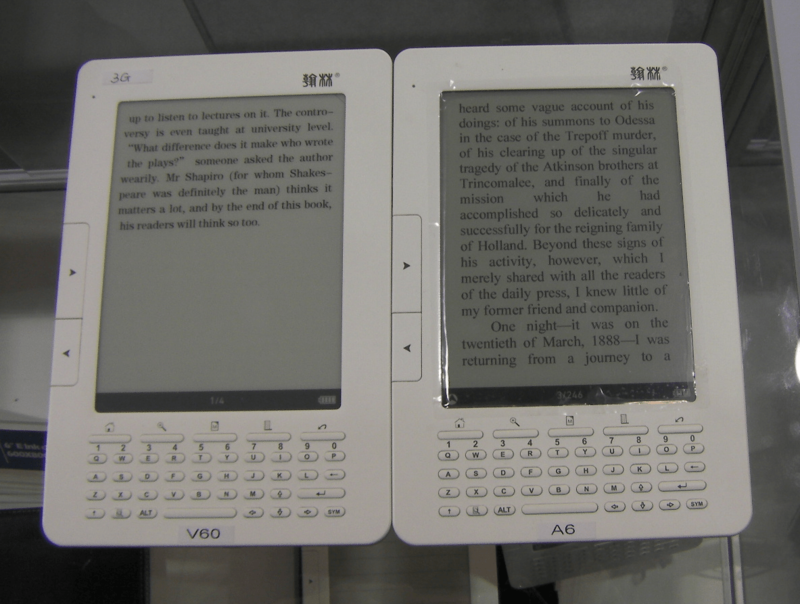 These 2 were just announced in the last few days, and they have the new color E-ink screen. These 2 should enter production in the next few months. I did get a chance to go back to the Hanlin booth and shoot another video. Since I don't have any experience with their ereaders, I didn't do anything more than try to show you the refresh rate. If you can't see the color screen, try watching the video in HD. Apparently the colors get messed up when Youtube dowgrades the resolution. 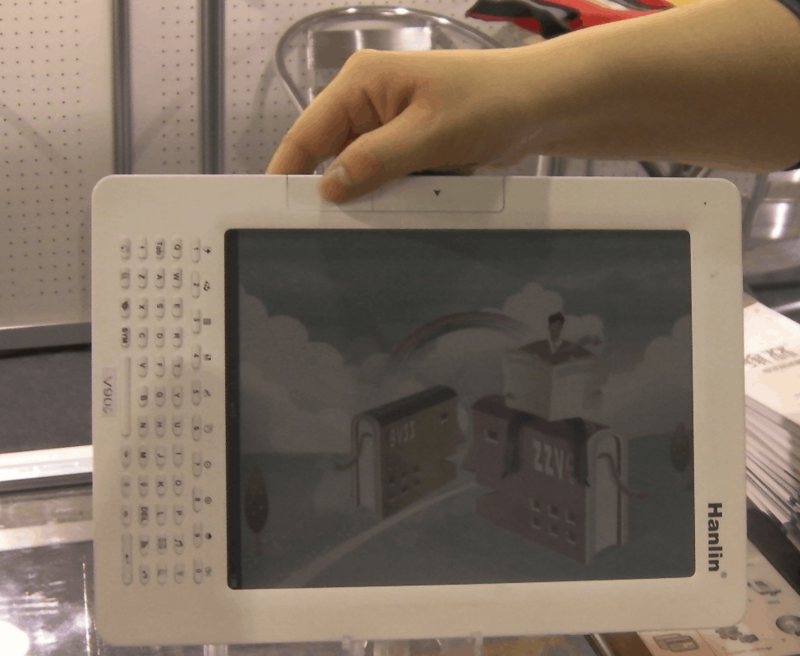 CES: Gajah – e-readers, tablets, & e-readers oh my!